Alien Resurrection Alien Resurrection was a two-part movie adaptation published by Dark Horse Comics from Oct.-Nov. 1997. The series was scripted by James Vance based on the screenplay by Joss Whedon, illustrated by Eduardo Risso and featured covers by Dave McKean. It was lettered by Gary Fields, colored by Dave Sterwart and edited by Philip D. Amara. The adaptation has never been collected or reprinted. 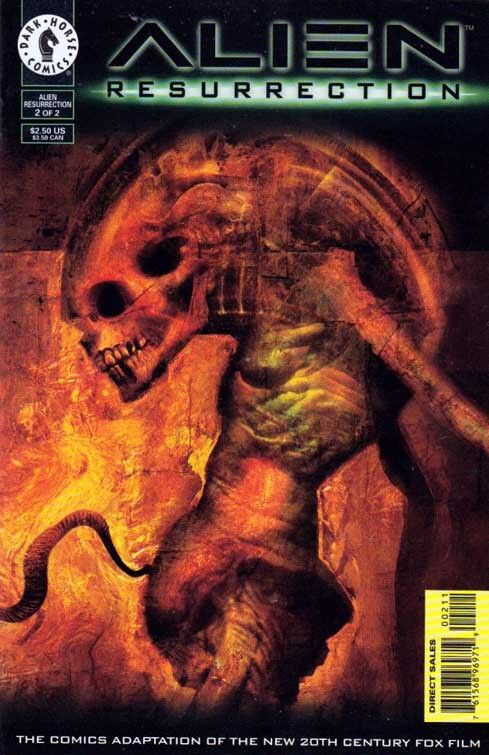 In the Aliens comics line, Alien Resurrection was published concurrently with Aliens: Alchemy (Sept.-Dec. 1997) and followed by Aliens: Kidnapped (Dec. 1997-February 1998).